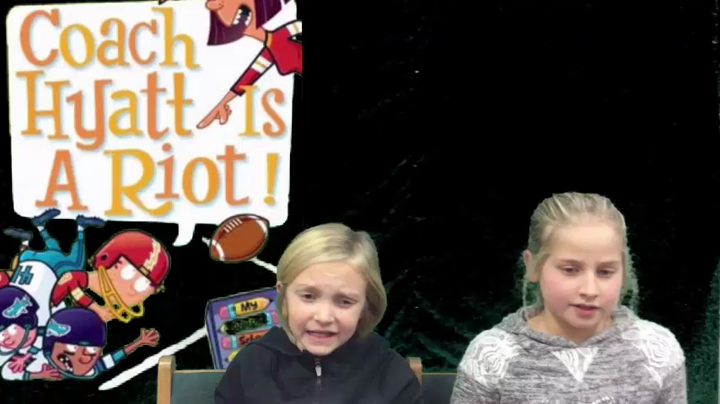 Coach Hyatt is a Riot Book Trailer by Angelina S. Elise M. Fayth T. and Camrynn V.
First I read the book, Coach Hyatt is a Riot. Next I typed a script about the book. I had some friends proofread my script. Next we practiced reading the script. We recored the script using the greenscreen and the app called Green Screen. I turned in my video to my teacher to submit. The photo in the background is the front cover of the book. The story is by Dan Gutman and the illustration is by Jim Paillot.